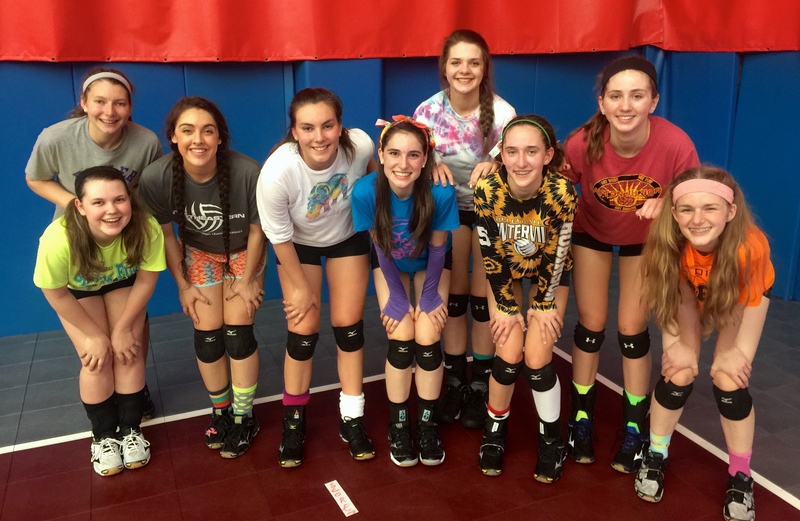 Dayton Juniors issues two sets of black spandex and practice t-shirts so the players look professional at practices – the thought being to take practice seriously and look the part of a dedicated team. 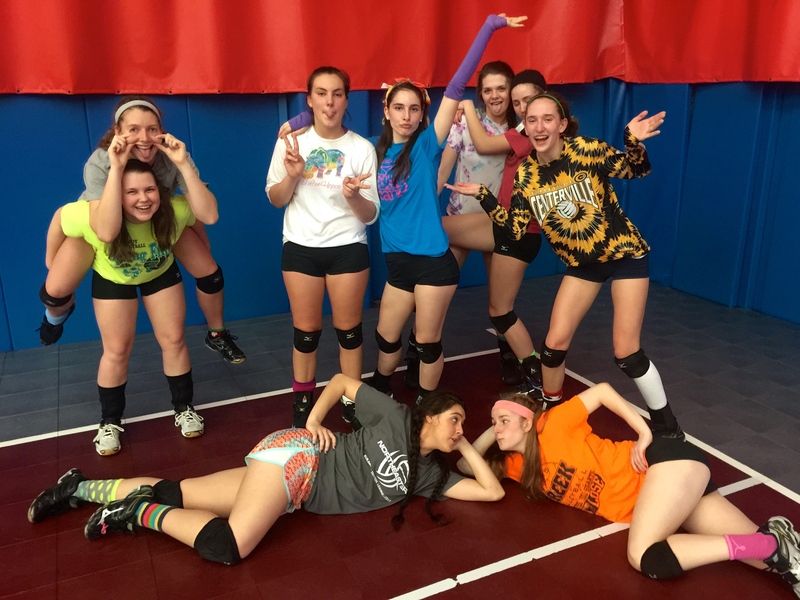 Unbeknownst to the coaches, the players orchestrated a “dress wacky” practice for our last Tuesday together. Ironic since we had invited the Champaign County Sharks over for a scrimmage. 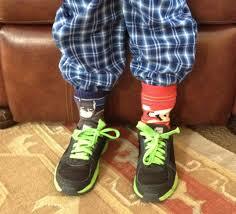 Fortunately the players did not play as dressed and we had a good scrimmage session. Was nice to see some different faces across the net. Below are a couple of pictures from the session.